With powerful single balanced armature drivers, the ATH-E50 In-Ear monitor headphones offer an accurate full-range response for consistent reference in any environment. Specially designed housings provide maximum isolation, while the flexible memory cable loops over ears for a custom fit. 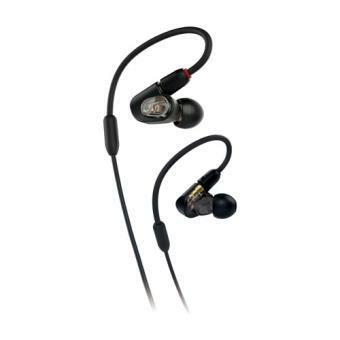 • Powerful single balanced armature drivers provide an accurate full-range response.